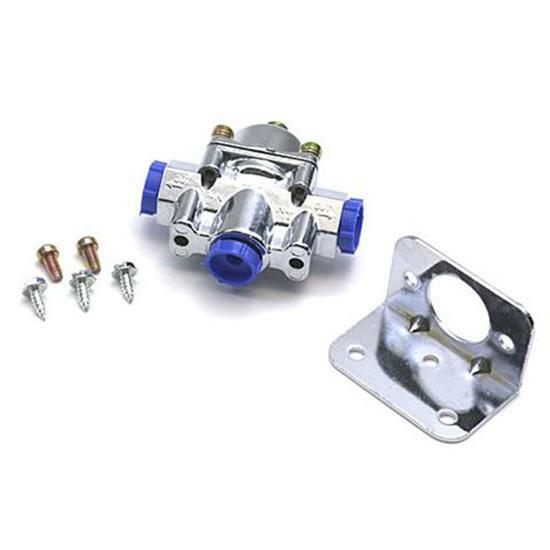 These adjustable fuel pressure regulators from Holley can be adjusted from 4-1/2 to 9 PSI to regulate fuel pressure for various types of carburetors. Fuel pump regulator works well with Holley high performance fuel pumps. Use one fuel regulator per fuel bowl for high flow applications. This fuel pressure regulator has a 3/8" NPT gauge port and requires reducer 617-6157 to install a fuel pressure gauge.